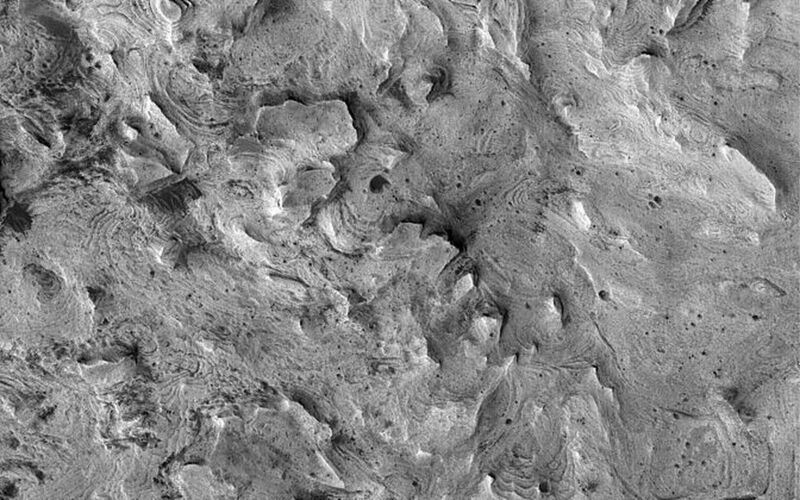 This Mars Global Surveyor (MGS) Mars Orbiter Camera (MOC) image shows light-toned, layered, sedimentary rock exposures in western Candor Chasma, part of the vast Valles Marineris trough system. 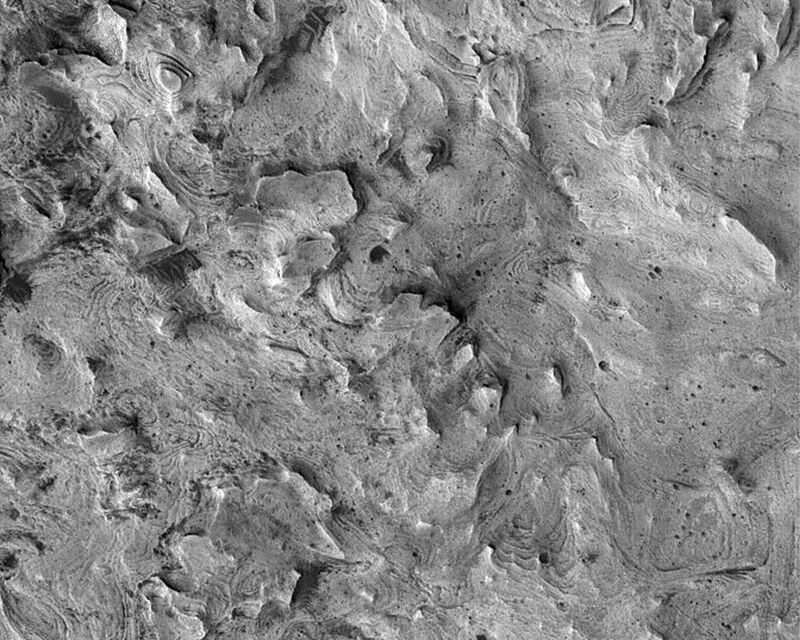 Most of west Candor's interior includes exposures of layered rock with very few superimposed impact craters. 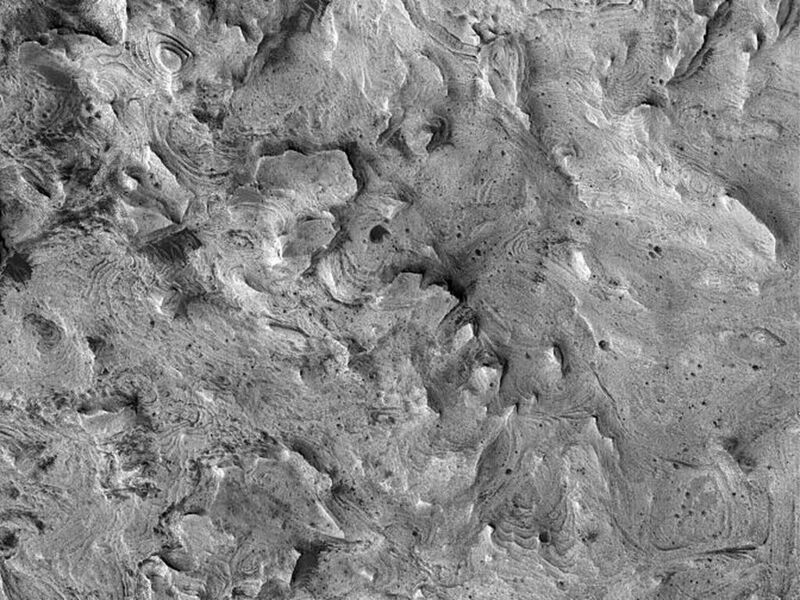 The rock may be very ancient, but the lack of craters suggests that the erosion of these materials is on-going.